The initial AG7 Space Pen® design with pump action pressurization mechanism. Not content, Fisher continued to work on making a better refill. After much experimentation he perfected a refill using thixotropic ink-semisolid until the shearing action of the rolling ball liquefied it and would flow only when needed. The cartridge was pressurized with nitrogen so that it didn't rely on gravity to make it work. It was dependable in freezing cold and desert heat. It could also write through water and upside down. The trick was to have the ink flow when you wanted it to, and not to flow the rest of the time, a problem the company solved. Fisher's development couldn't have come at a more opportune time. 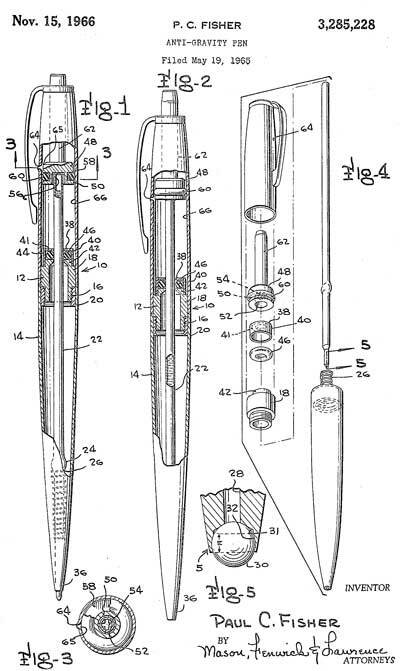 A commonsense approach to problems, countless practical experiments and significant investments in research resulted in the invention of the sealed pressurized Fisher Space Pen®. 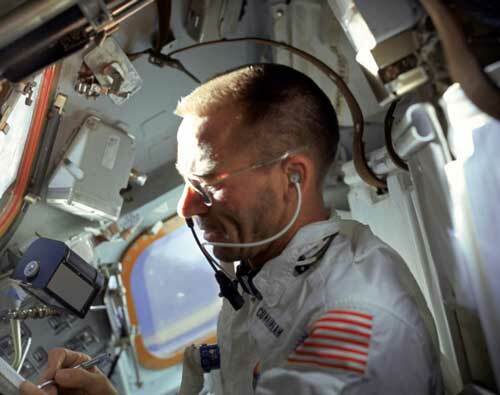 In 1967, after 18 months of rigorous testing by NASA, the Fisher Space Pen was selected for use by the Apollo astronauts. It is still being used on man spaceflights by astronauts and cosmonauts.